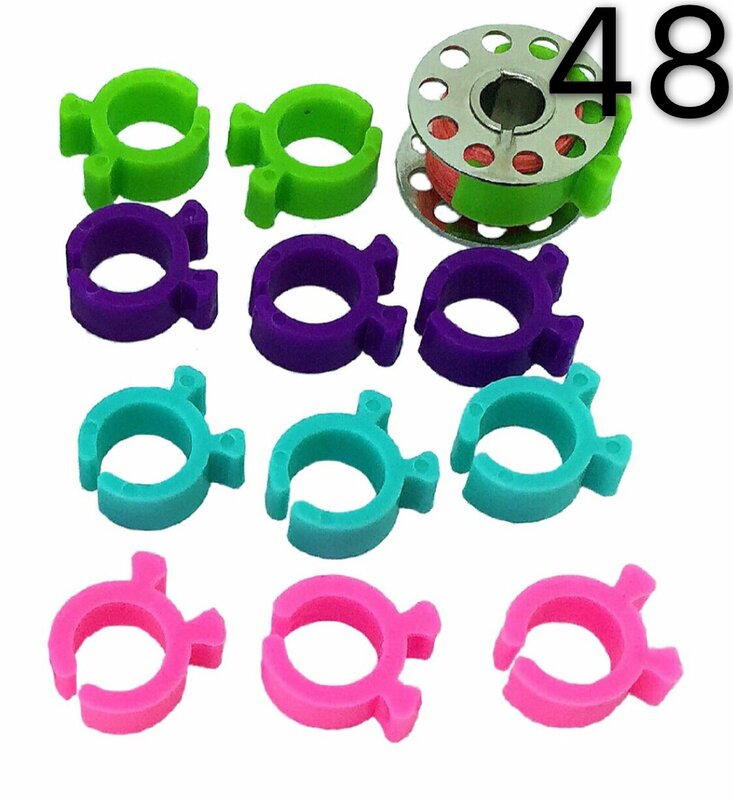 Small Thread clamp, simple but super functional thread holders will add organization and fun to your sewing room.Just slip one over a bobbin, and it won't unwind even if you drop it.easy to use and the thread stays put. 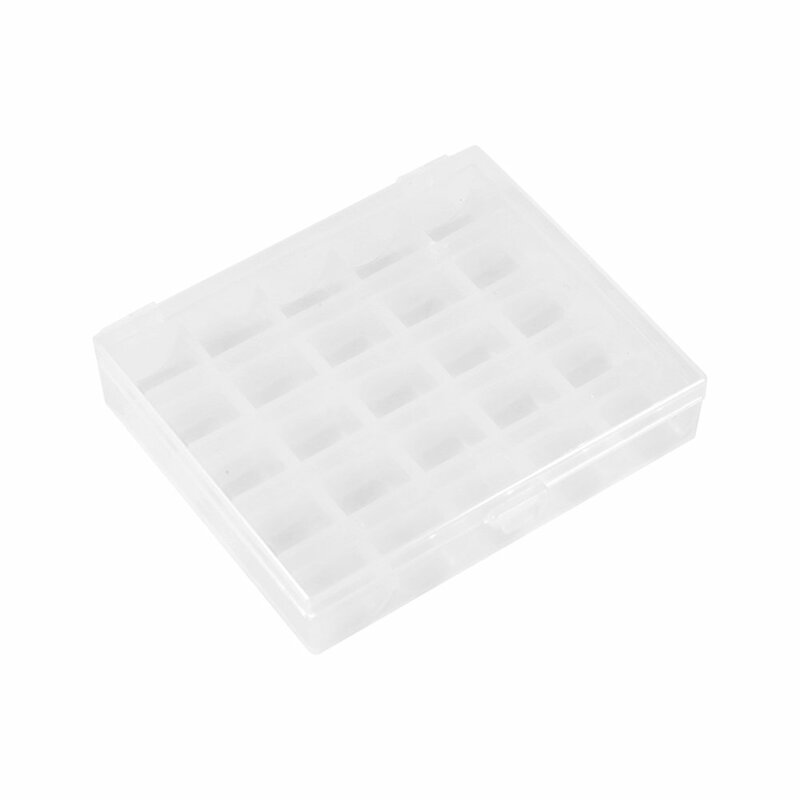 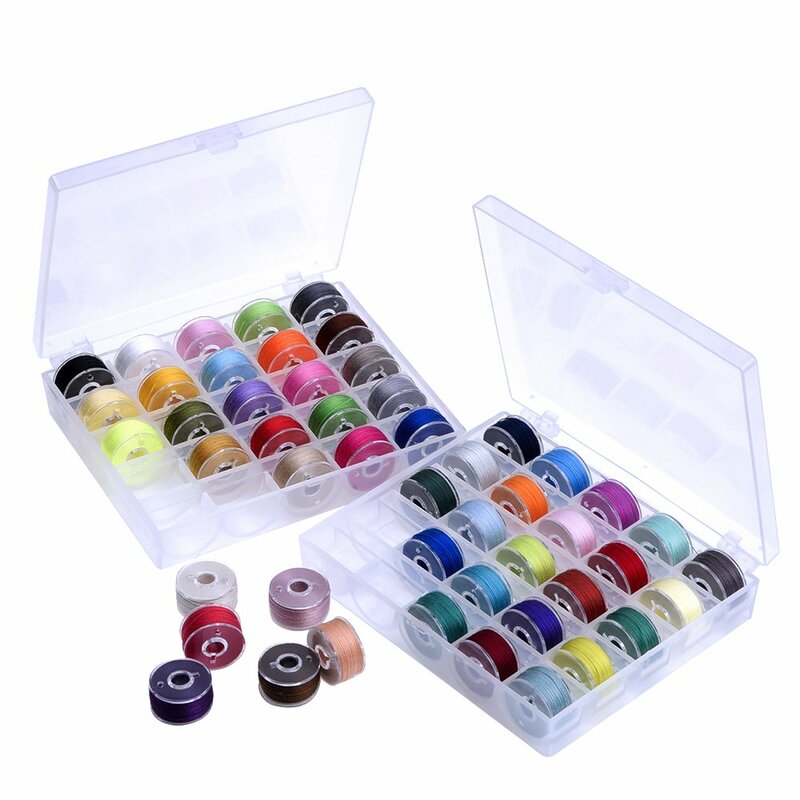 Cute, colorful and high quality product certainly a valuable addition to your craft supplies or sewing supplies. 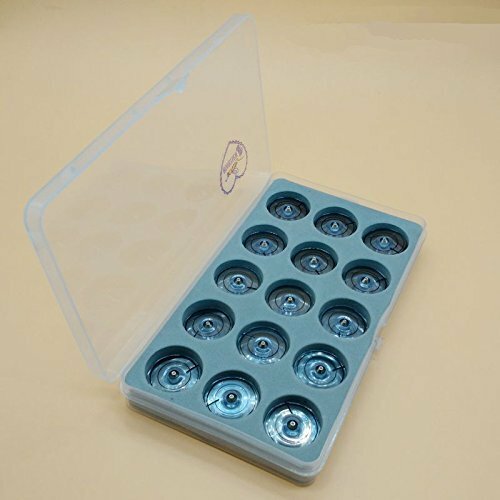 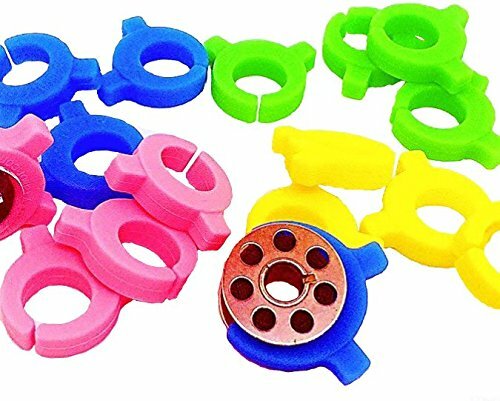 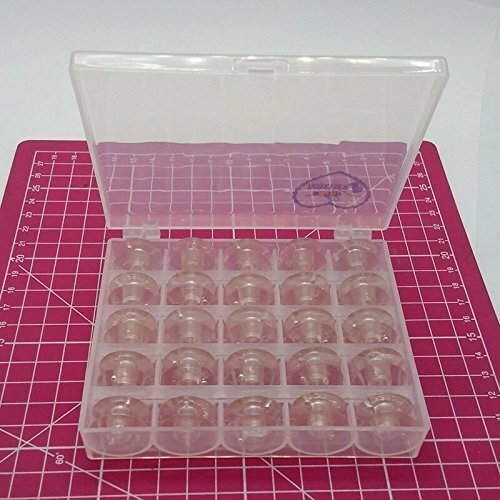 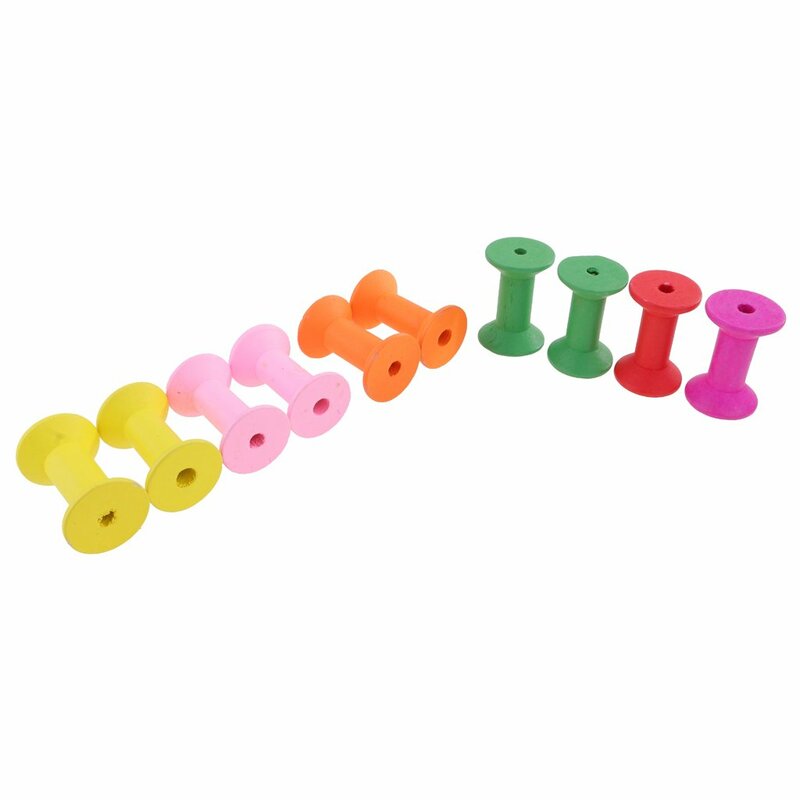 Soft bobbin holder clamps are easy to use and they can hold bobbins very well. 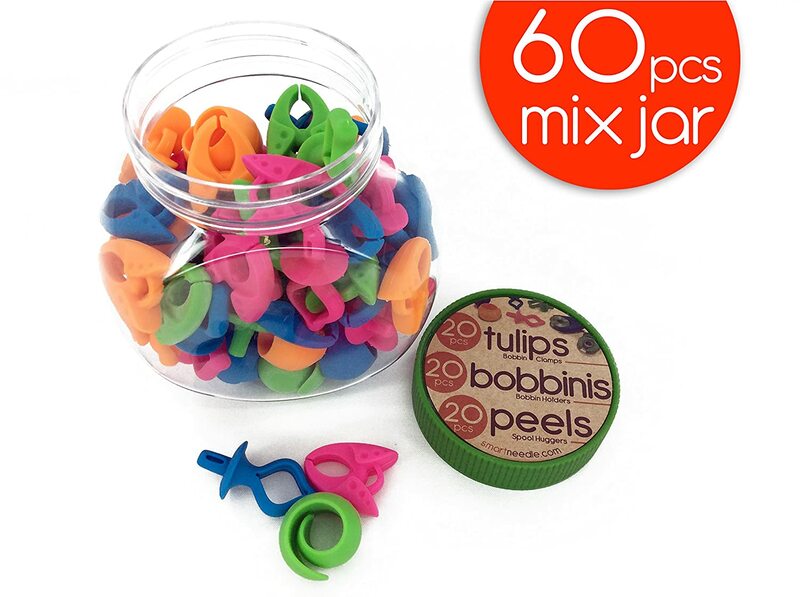 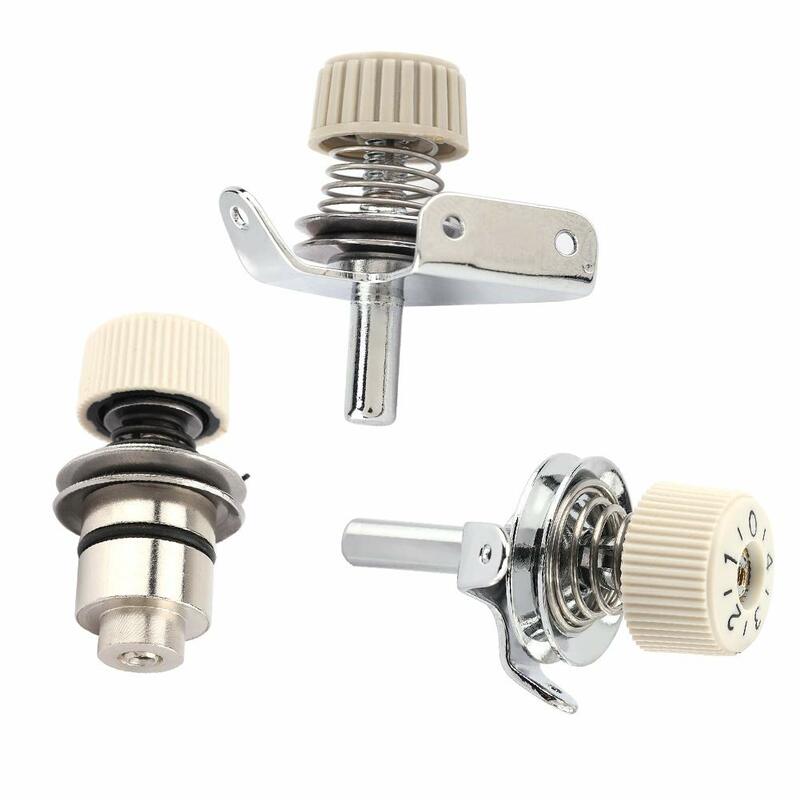 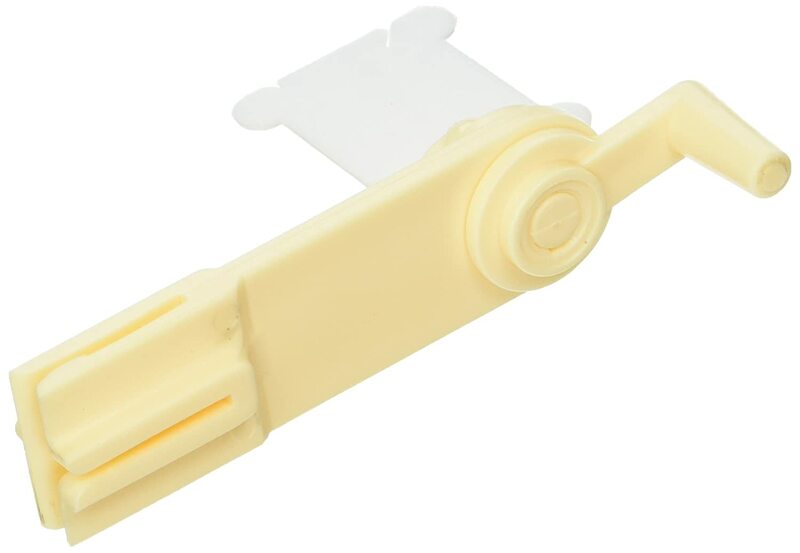 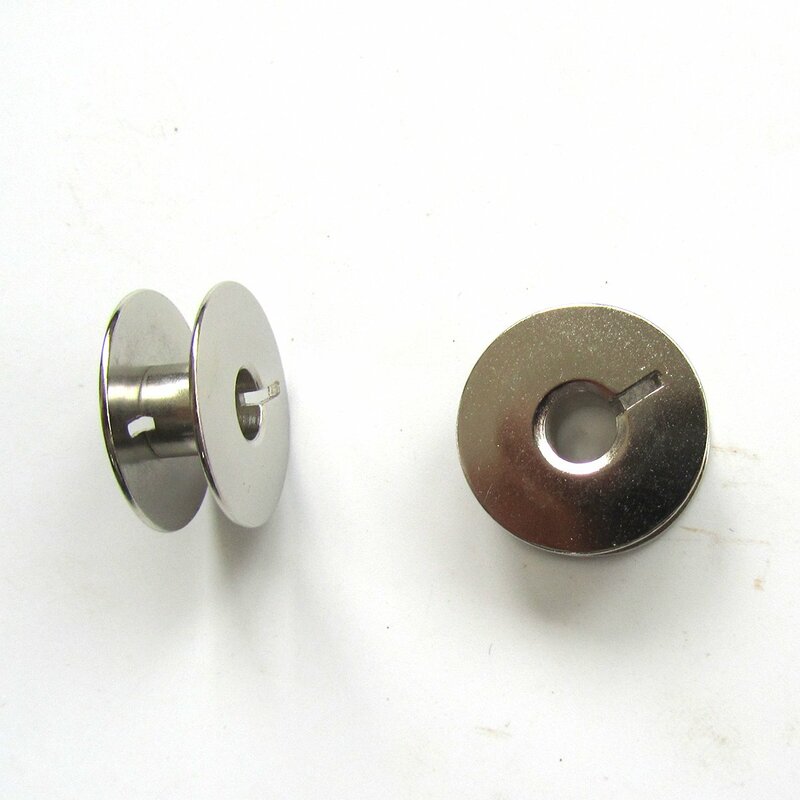 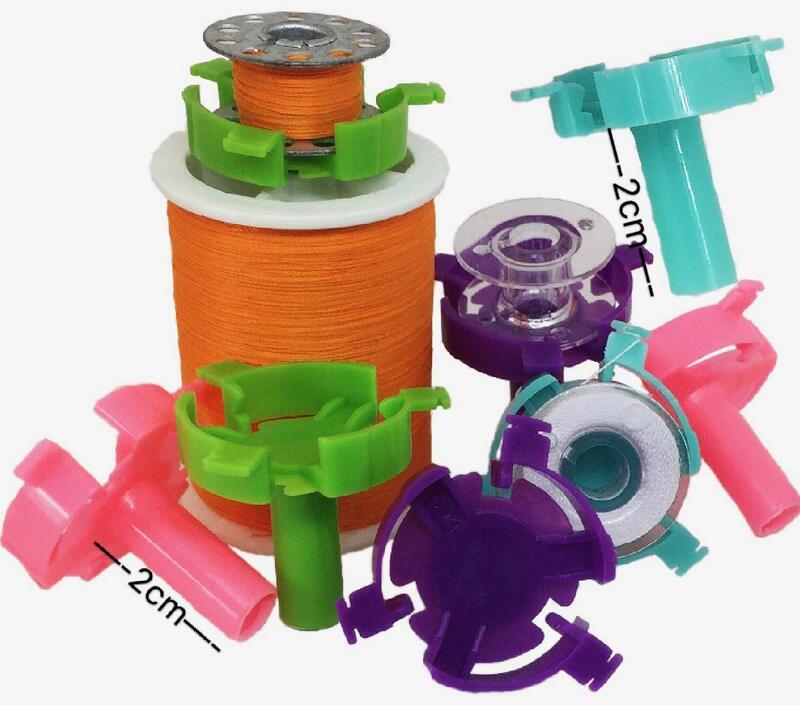 This innovative small bobbin clamp can hold any type of bobbin threads-no more tangles! 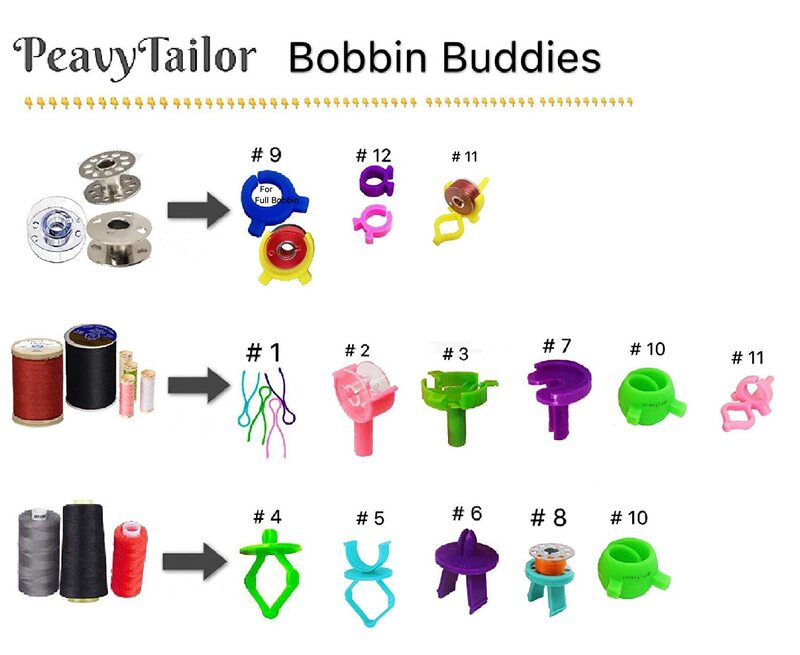 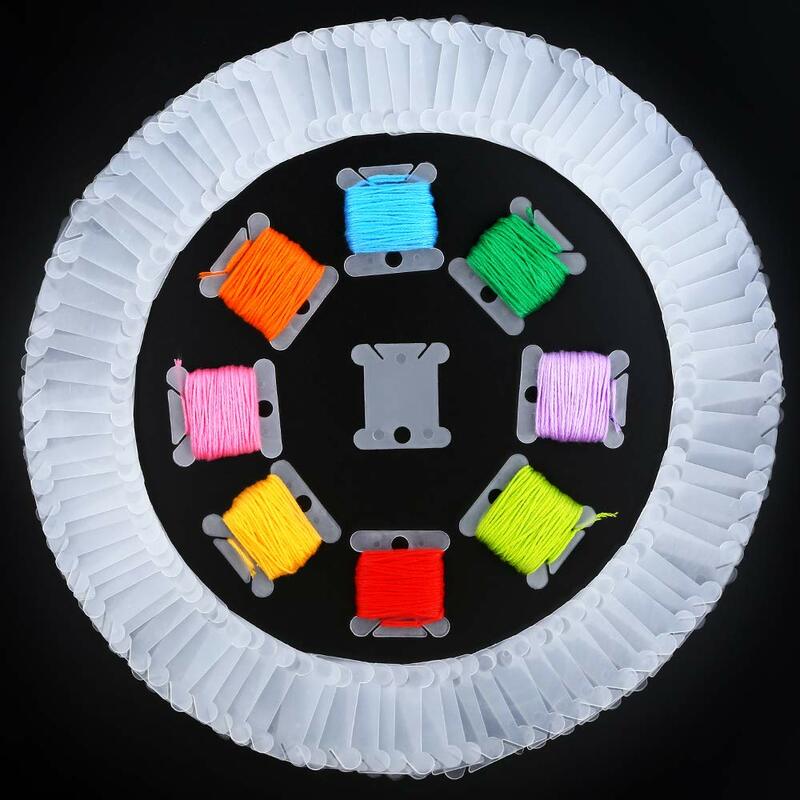 Simply slip the soft plastic bobbin over bobbin thread and insert into spool. 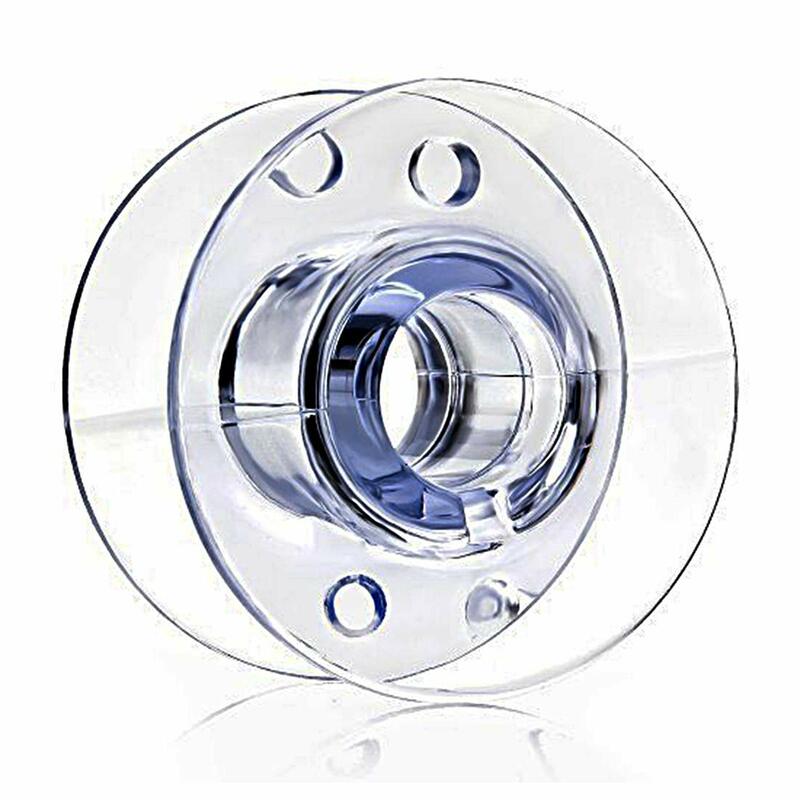 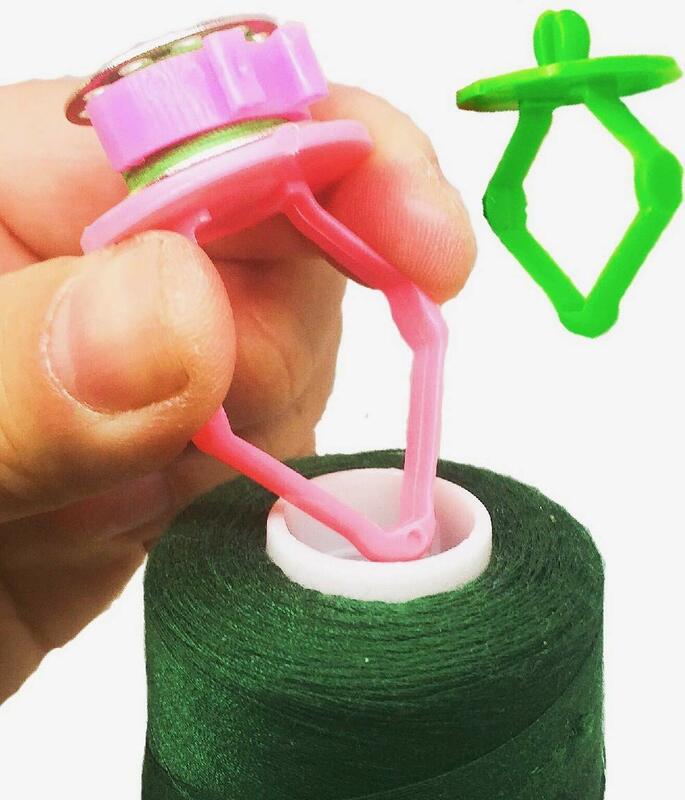 easy to use and the thread stays put! 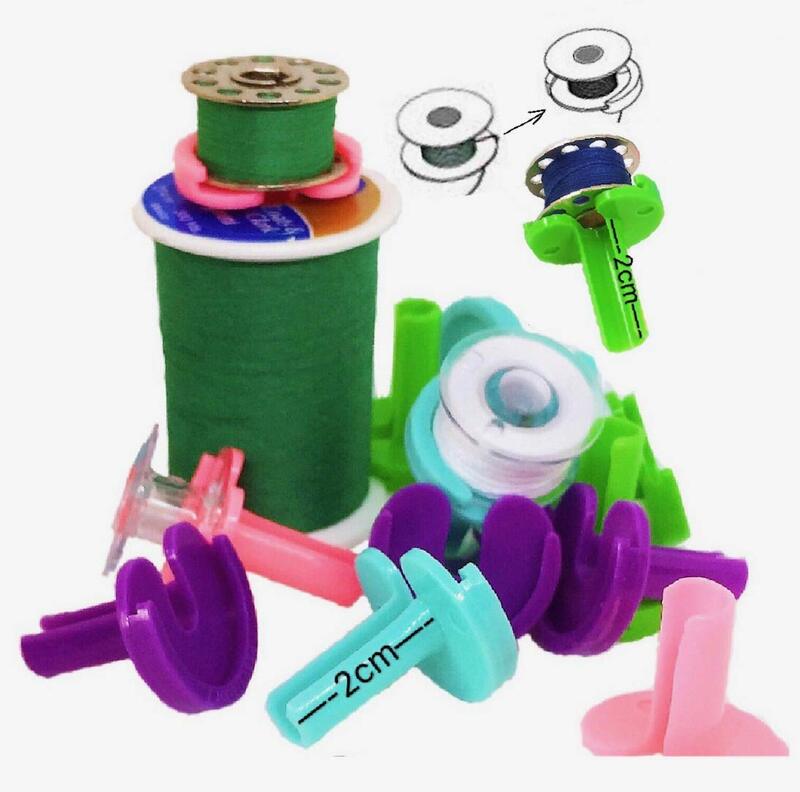 Tidy up your thread bobbin storage & eliminate the clutter and frustration caused by tangled tails or loose ends - adapt our easy, effective and awesome Thread Savers and stay better organized. 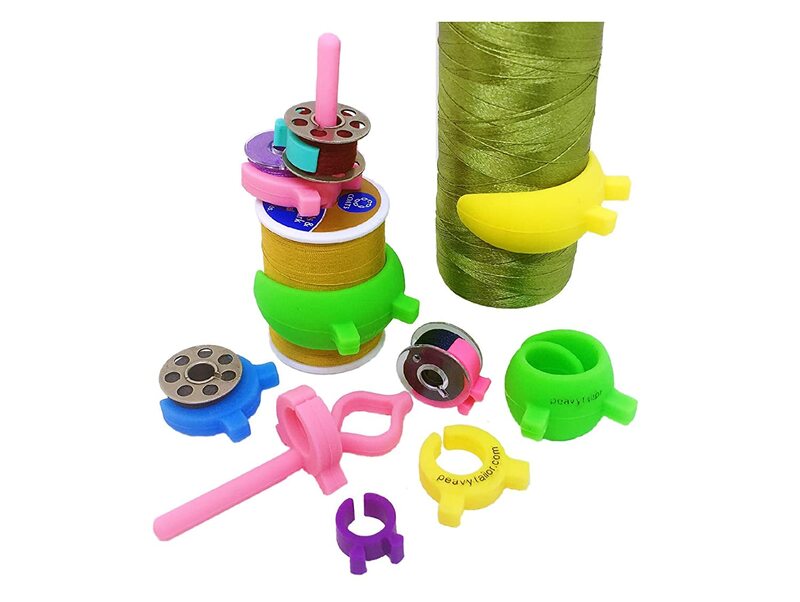 Thread clamp-- Cute little accessories that embrace your spools to prevent unraveling of threads , Easy to put on and equally easy to remove - Come packaged in a set of 48 pc - no need to buy every few days - Reusable design that allows you to use these over and again for years - offer great value in the long run .Small parts-Not for children under 3 yrs.